This was only the second quilt I have completed on the new long-arm. I think the reason it took me so long to quilt this one is because I couldn't decide just how to quilt it. I decided to keep it simple and do quilt wavy lines in the opposite direction of the quilt's rows. I'm really happy with the way it turned out. I decided to name this one "Groovy Watercolor" because the colors remind me of a watercolor painting. Now that this one is done, I will get to deliver three of the quilts I've made this year as Christmas presents. I can't wait to see the faces of the kids when they open up their own new quilts. I know that each of them will be well loved and used. Whew...now back to working on more Christmas gifts! 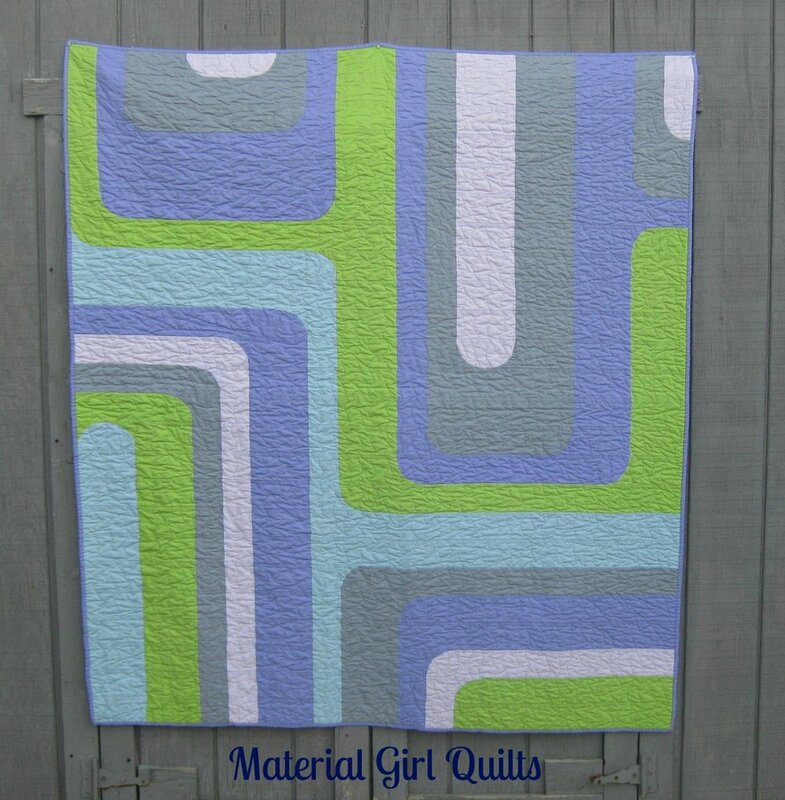 I'm linking up with Thanks Goodness It's Finished Friday and Amanda at Crazy Mom Quilts.